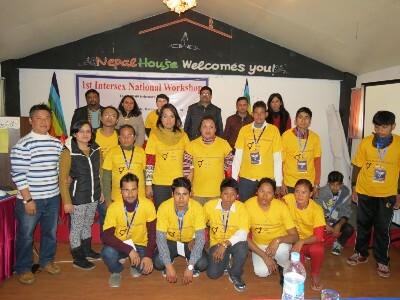 The first ever national level meeting on issues and challenges facing intersex people in Nepal was held this week in Kathmandu, providing an important opportunity for activists to advocate for inclusion in ongoing dialogue around human rights for sexual minorities in the country. 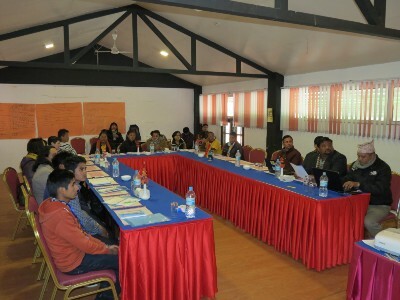 The meeting was hosted by Blue Diamond Society and brought together 13 intersex people of diverse gender identities and sexual orientations from across Nepal as well as representatives from the Ministry of Women, Children and Social Welfare, the National Human Rights Commission of Nepal (NHRC), the United Nations Development Programme (UNDP) and UNICEF, as well as legal experts. The meeting was jointly supported by two regional UNDP programmes — Being LGBTI in Asia and the Multi-Country South Asia Global Fund HIV Programme — and was a direct follow up to the ‘Intersex Roundtable’ organized by UNDP at ILGA Asia in Taiwan in November 2015. Day one of the two day meeting revolved around exploring the international and national context of the intersex rights movement. Esan Regmi, the lead facilitator and an intersex man led several sessions that helped participants understand what it means to be intersex, the role of the ‘I’ in LGBTI as well as the importance of intersex people taking space within the wider LGBTI movement in Nepal to discuss the different and specific needs of intersex people. Sujan Panta, a legal expert with Blue Diamond Society, presented on the human rights of intersex people as guaranteed under the laws and policies of Nepal as well as exploring the growing issues of intersex genital mutilation in Nepal. He emphasized that the rights of Intersex people to receive accurate citizenship documents, anti-discrimination and the right to participate in state mechanisms and public services were protected under articles 12, 18 and 42 the new Constitution of Nepal. He also presented on the international legal responsibilities of Nepal under the Convention of the Rights of the Child, the Convention against Torture and the International Covenant on Economic, Social and Cultural Rights to protect the rights of all citizens including Intersex people. The first day of the workshop culminated with the powerful ‘sharing session’. During this session the participants shared their stories of growing up in a society with no comprehension of ‘intersex’, of being raised as the wrong gender, of the challenges they faced in accessing documents as well as bullying and stigma at home, in school and in the community as a whole. For many of the Intersex participants this was their first time meeting other Intersex people and they expressed a happiness and great appreciation at being able to meet others and truly understand what it means to have an Intersex variation and not be alone. “I used to wonder what I was. I didn’t know. When I compared myself to boys I wasn’t the same. When I compared myself to a girl. I wasn’t the same. I was caught between two spheres and couldn’t fit in either. 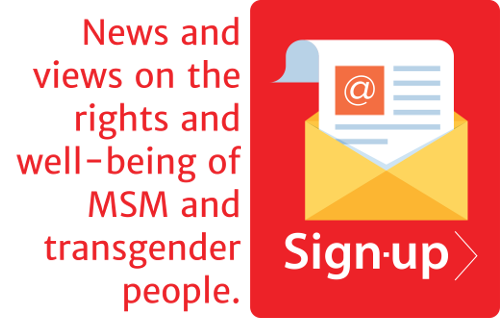 Today I know, I am intersex,” said Esan Regmi from Kathmandu, Nepal. The meeting culminated with a panel session featuring UNICEF, UNDP, the National Human Rights Commission of Nepal as well as the Ministry of Women, Children and Social Welfare where panelists were asked to discuss their perspective on intersex issues and how they will move forward with the recommendations provided by the participants. Basudev Bajgain of the National Human Rights Commission of Nepal spoke about how the intersex community are little known in Nepal and that they are facing discrimination even within the LGBTI community. In closing, he emphasized the support of the NHRC to work in favour of the community and called for a need for a campaign to create awareness in society. Additionally, he stated that the NHRC would put pressure on government to implement the constitutional provisions. Intersex is an umbrella term used to describe a wide range of natural bodily variations. In some cases, intersex traits are visible at birth while in others they are not apparent until puberty. Some chromosomal intersex variations may not be physically apparent at all. According to experts, between 0.05% and 1.7% of the population is born with intersex traits. This article was originally published by Being LGBTI in Asia.